Although a dental crown is essentially a false tooth, dentists have ways to ensure that the crown looks as natural as real teeth. In most cases, dental crowns look natural due to the talent of the particular dentist. Once a dental crown is placed upon an original tooth, it is usually difficult to distinguish between the crown and the rest of the natural teeth. Because teeth are not naturally white, dental crowns can vary in shades of white, and can even be shaded to match the color of the other teeth. When making a dental crown, differences in shape and size of teeth due to various factors such as ethnicity, age and gender are taken into consideration to produce the most natural-looking crown. When making a crown, a dentist will essentially create a duplicate of the damaged tooth. For the tooth to function properly, the shape of the crown covering it will include curves, cusps, and ridges. Crowns are made specifically to resemble natural teeth and can achieve a natural look with the use of ceramics and porcelains. Rebuilding teeth — A crown can strengthen and protect severely weakened, damaged or even broken teeth. Improve appearance — Dental crowns can unify the look of a smile by blending in with the size, color and shape of natural teeth. Paired with other devices — Crowns can be paired with dental implants, and can also hold a dental bridge in place. Traditional dental crowns generally come in two types: Full metal crowns, such as gold, and composite crowns. A standby for several decades, gold crowns are still a good option today. Although they can be more expensive than crowns made of other materials, they are also the most durable. However, gold crowns can easily conduct cold and heat, which can cause sensitivities to the teeth that are close to the crown for some patients. They are also the most noticeable choice for a crown and, therefore, do not look natural. 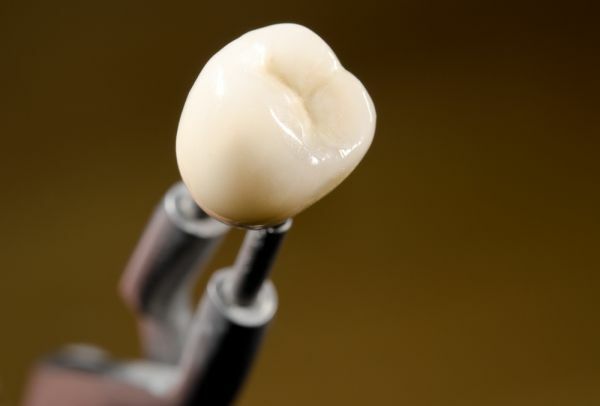 While composite crowns are not as durable as gold crowns, they are a good choice if you have a metal sensitivity or if porcelain is not an option for you. They are realistic and natural-looking, as well as affordable. This type of crown may, however, need to eventually be replaced. Having a natural-looking crown is an attainable goal. When done correctly, dental crowns will yield a realistic appearance and blend in with the rest of your teeth. Talk to one of our dentists today to find out more about dental crowns, and whether they may be the right solution for you. Request an appointment here: https://summitdentist.com or call Summit Dentist at (908) 698-4229 for an appointment in our Summit office. We are committed to providing quality healthcare to families located in the Summit area and treat patients of all ages. Copyright © 2019 All Rights Reserved Summit Dentist.